Released by Nino Cerruti in 1995, Cerruti 1881 is classified as a floral scent. This womanly aroma has a mix of blooming fresh cut flowers and linen. It is advised for sportswear. 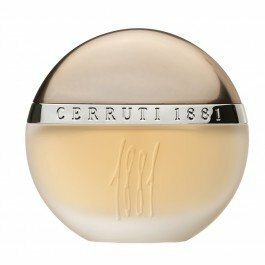 Cerruti 1881 EDT Natural Spray for Women soft, airy and herbal top notes include mimosa, bergamot, violet and freesia Middle notes of orange blossom, geranium, jasmine and rosewood ends with a woody accord of sandalwood, cedar wood, amber and musk.